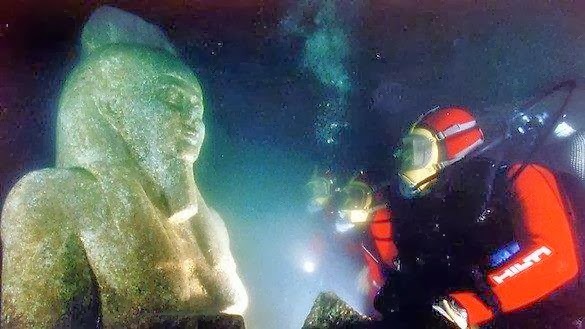 Lost Egyptian City Found Under the Sea After 1,200 Years! Finally, the lost Egyptian city of Heracleion has been revealed after spending 1,200-years under sea. Researchers discovered amazingly well-preserved artifacts 30-feet under the surface of the Mediterranean Sea in Aboukir Bay, near Alexandria that tell the story of a vibrant classical-era port.